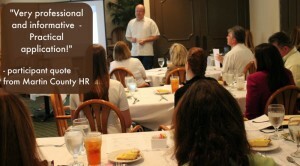 Home » Leadership » Are Your Values Being Challenged? 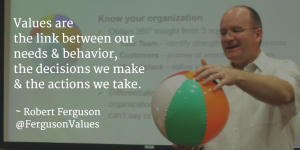 Are Your Values Being Challenged? 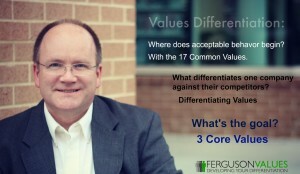 If the values you’ve selected are truly your top values, then they should be continually challenged. Why? Because living in world of constant decision-making means living in a constant state of values conflict. You value order and timeliness. Should you first put away the thing you just used when you’re running late to a meet someone, or should you leave that until later? What if you know you will be late anyway? You value persistence and collaboration. How long should you push yourself on solving a particular problem before engaging others to help? What do you expect of others on the team? You value efficiency and empathy. When do focus on the task vs. the person, and why? When is ok to allow waste to occur (and to what extent) when compassion is called for? More importantly, for all such situations, how do you describe your rationale to others so that it makes sense AND is easily replicable? This is neither easy nor simple, for anyone. 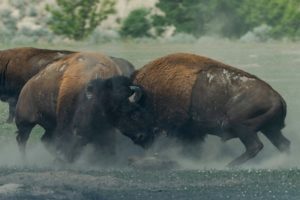 Only through the proving ground of continual values conflict will you personally – and/or your organization – validate your top values, and their priority order. 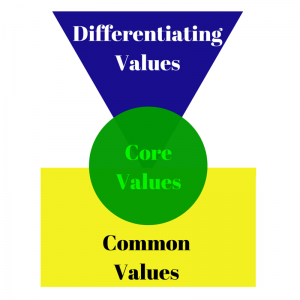 Only with time and effort (and oft times discomfort) will your #1, #2, and #3 values become crystal clear. 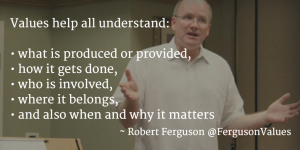 By prioritizing values, it helps you – and everyone else on the team – make better decisions. It also helps to minimize the unpleasant experience when one value must be sacrificed over another. 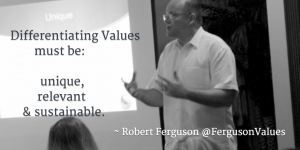 So, if you feel your values are being challenged, embrace the experience. 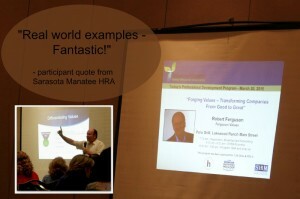 Let the best values for you – and your organization – rise to the top. Then you’ll have something meaningful to use for the really tough decisions.